Time is money when you are racing to hit your win number, and entering data from the first pass through a region can cost valuable hours, leaving volunteers waiting for updated second-pass turf. 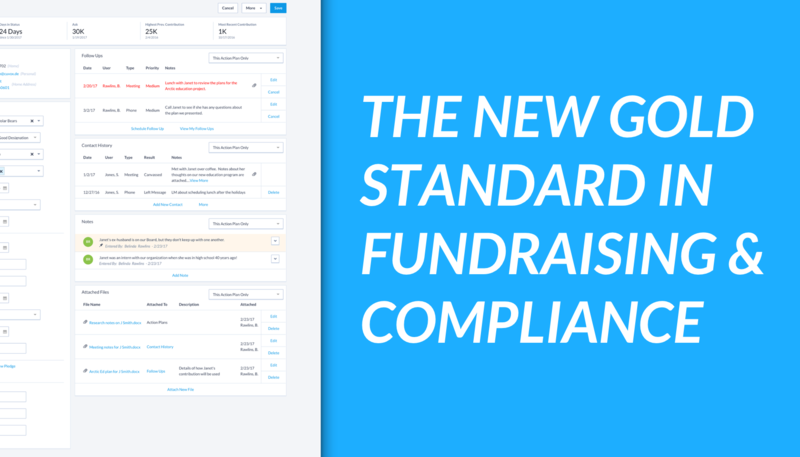 With MiniVAN's instant data sync, campaign staff can quickly see canvass results and make real time decisions about where to send volunteers. Not to mention, all of the volunteer shifts previously devoted to entering data from paper packets can now be directed toward phone banking, canvassing, or other campaign goal-focused work. Every field organizer has spent a late night in a campaign office assembling hundreds of turf packets. The painstaking process of making sure every clipboard has correct materials and is stored in geographic order for easy sign-out is a rite of passage for new organizers, but it's one that we won't miss. For a MiniVAN canvass, simply cut turf in VAN as usual and provide the list number to volunteers who will sign in to MiniVAN with their unique Action IDs, making it easy to track who is working on each turf. Unlike turf packets, however, pizza will always be an important part of campaign life! One of the easiest ways to keep your volunteers happy is to streamline the process that they will go through on a canvass day. Even for experienced canvassers, shuffling through paper packets to make sure that they follow the map correctly and hit every street is a time-consuming and often frustrating process. MiniVAN allows users to easily toggle between a Map view and Household List view, in addition to filtering their list to easily find the doors that they need to hit. 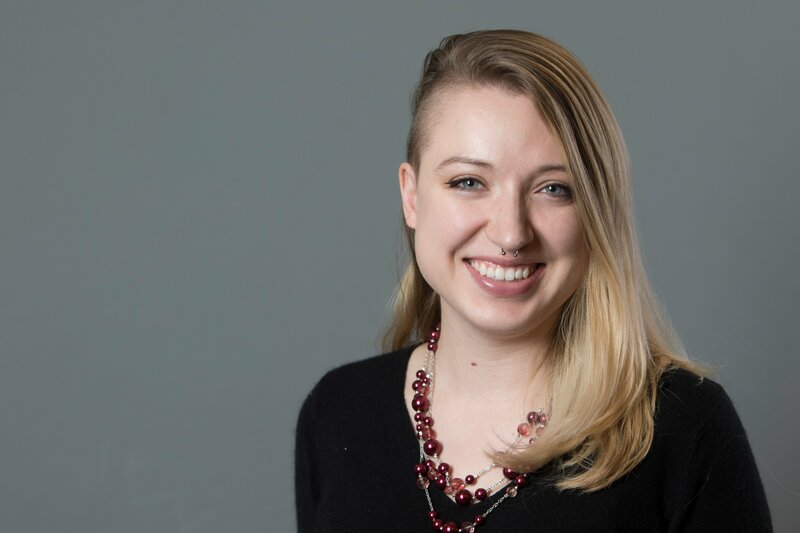 The process of organizing a political campaign can be daunting, and with so many moving pieces to coordinate, it can be easy to loose sight of things like environmental impact. Campaigns go through massive amounts of paper, printing and re-printing turf packets. MiniVAN removes the need for constant paper consumption, and helps volunteers feel proud of reducing our footprint. Many @HaringeyLibDems being trained on the MiniVan canvassing app this morning so we can save paper (and the environment) when we canvass! 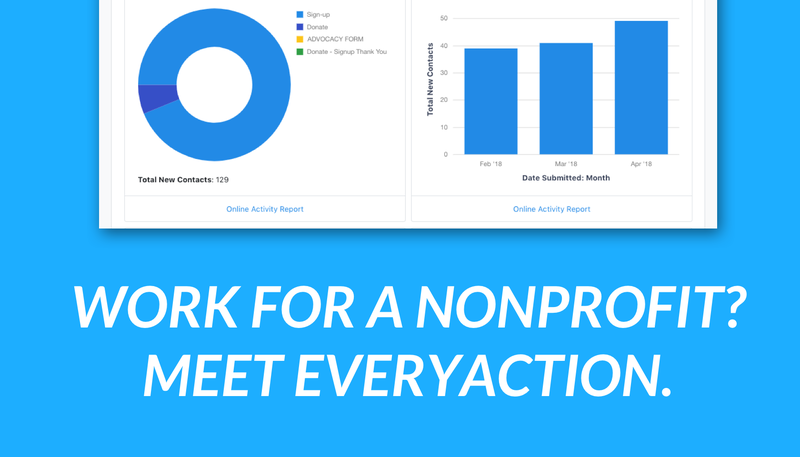 Using tools like MiniVAN Manager, campaign staff can monitor the vital stats of every canvasser, including location, progress and effectiveness in real time. 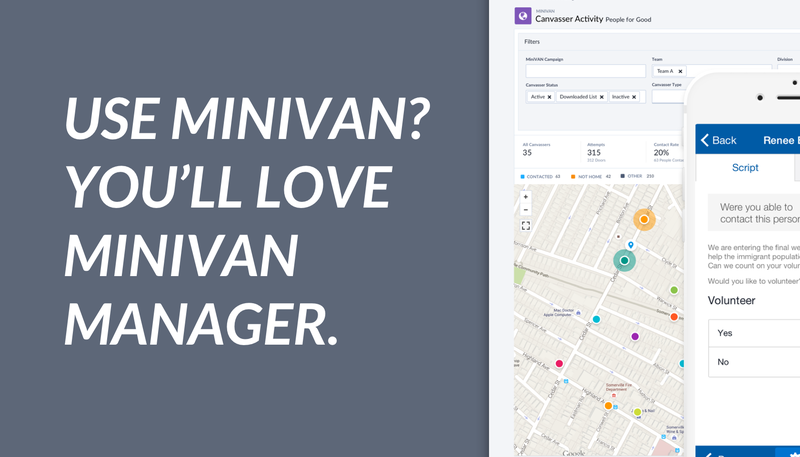 MiniVAN Manager allows users to see where canvassers are, when they last knocked on a door, what their contact rate is, and more, all at the touch of a button. Spot trends as they happen in the field and make updates or changes to scripts, walk sheets and canvasser profiles straight from VAN.